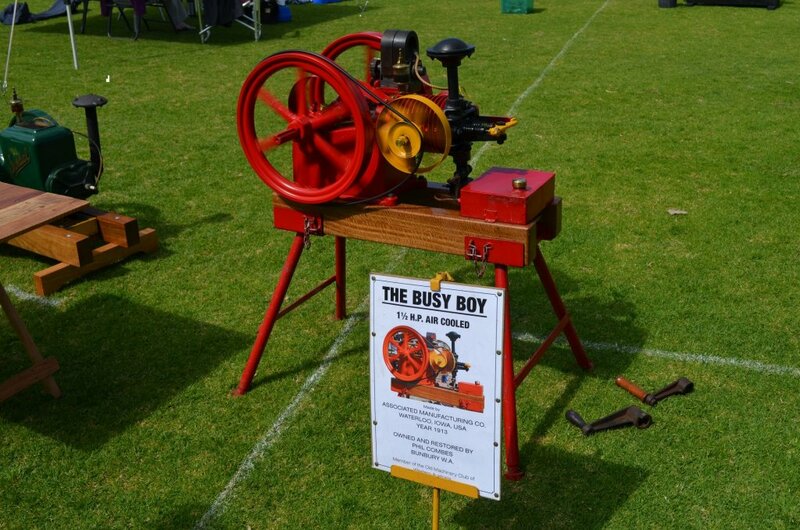 This is a wooden replica of a "Busy Boy '' engine and the original. Aren't those the old "hit and miss" motors that made that "putt, putt, putt" sound? I think they used them for water pumps and oil rigs and conveyors on farms back in the 50's. I remember something about adding oil all the time or oiling them somehow. 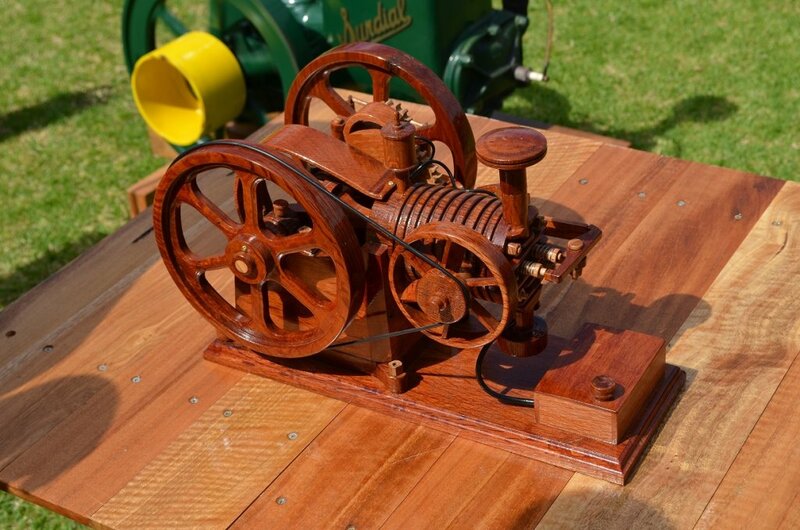 I think there's still an old tractor around here with wooden or steel wheels with one of those. I can't forget that odd noise they made.